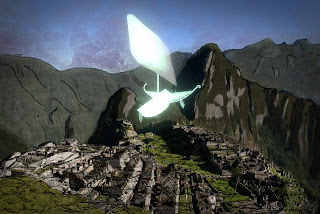 (Chicago, IL) – SIGGRAPH 2013, 21-25 July at the Anaheim Convention Center in California, released its list of 2013 Emerging Technologies highlights that will be featured at this year’s conference. SIGGRAPH 2013 Emerging Technologies presents innovative technologies and applications of the latest developments in several fields, from 3D displays and interactive input devices to collaborative environments and robotics, and technologies that apply to film and game production. The Emerging Technologies program provides attendees a unique hands-on opportunity to interact with select innovative technologies before they become hot topics in the mainstream media and blogs. 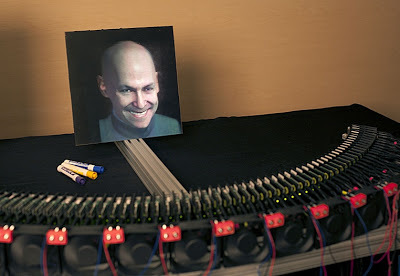 “We had an incredible response from many fields, including displays, robotics, input devices, interaction techniques, gaming, and computer vision,” said Dylan Moore, SIGGRAPH 2013 Emerging Technologies Chair. “We were especially pleased that our call for assistive technologies was answered. The focus was to only showcasing those technologies that blew the jury away on every level, and meeting a high bar for quality and novelty. We can't wait to get these technologies in the hands of our attendees to try out." This dense-projector-array display is optimized in size and resolution to display an autostereoscopic life-sized 3D human face with a wide 110-degree field of view. It has multiple applications, including 3D teleconferencing and fully synthetic characters for education and entertainment. 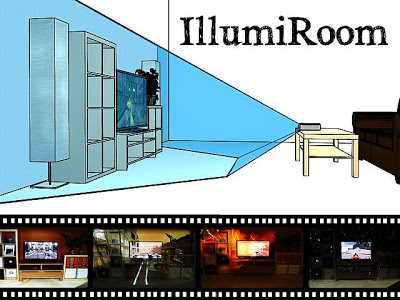 IllumiRoom is a proof-of-concept system that augments the area surrounding a television with projected visualizations to enhance traditional gaming experiences. It changes the appearance of the room, induces apparent motion, extends the field of view, and enables entirely new physical gaming experiences. Commercial time-of-flight sensors based on photonic mixer devices (PMDs), are used to capture transient images of photons in-flight. Through the use of readily available components, Light-in-Flight is orders of magnitude less expensive than previous approaches, while simultaneously simplifying and speeding up the capture process. 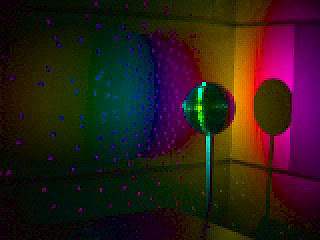 Near-eye light-field displays depict sharp images by synthesizing light fields corresponding to virtual scenes located within a viewer's natural accommodation range. This system optimizes optical trade-offs among resolution, field of view, and form factor, and demonstrates a thin, lightweight HMD prototype, containing a pair of microlens-covered OLEDs. A mixed-reality shoulder exercise game developed for prevention and treatment of shoulder pain for individuals with spinal cord injury. SIGGRAPH 2013 will bring thousands of computer graphics and interactive technology professionals from five continents to Anaheim, California for the industry's most respected technical and creative programs focusing on research, science, art, animation, music, gaming, interactivity, education, and the web from Sunday, 21 July through Thursday, 25 July 2013 at the Anaheim Convention Center. SIGGRAPH 2013 includes a three-day exhibition of products and services from the computer graphics and interactive marketplace from 23-25 July 2013. More details are available at SIGGRAPH 2013 or on Facebook and Twitter. The ACM Special Interest Group on Computer Graphics and Interactive Techniques is an interdisciplinary community interested in research, technology, and applications in computer graphics and interactive techniques. Members include researchers, developers, and users from the technical, academic, business, and art communities. ACM SIGGRAPH enriches the computer graphics and interactive techniques community year-round through its conferences, global network of professional and student chapters, publications, and educational activities. ACM, the Association for Computing Machinery is the world's largest educational and scientific computing society, uniting educators, researchers, and professionals to inspire dialogue, share resources, and address the field's challenges. ACM strengthens the computing profession’s collective voice through strong leadership, promotion of the highest standards, and recognition of technical excellence. ACM supports the professional growth of its members by providing opportunities for lifelong learning, career development, and professional networking.